Pound-Maker has a one-time capacity of 26,000 head of cattle. Historically, Pound-Maker has fed a combination of company owned and custom owned cattle, both retained ownership and investment feeding. All cattle at Pound-Maker are fed to finish weights and sold to slaughter plants in Canada on a cash basis. Pound-Maker purchases cattle through auction markets, order buyers, or direct from producers. Steers from 500 to 1000 pounds, are purchased throughout the year. Each animal is individually weighed upon arrival and placed into a lot of cattle of the same weight range. The cattle are fed a starter ration of 30% grain and 70% forage. As the cattle move towards the projected finished weight of approximately 1400 pounds, the rations changes to 80% grain with the remaining being forage. The co-products of ethanol production are also included in the ration. 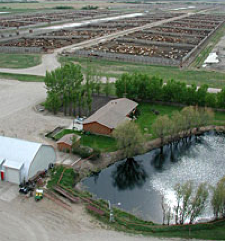 Individuals can feed cattle at Pound-Maker either by purchasing cattle from Pound-Maker, delivering animals to the feedlot through an order buyer, or by delivering animals to the feedlot from their own operation and maintaining the ownership of the cattle. Pound-Maker’s custom feeding program is conducted on a feed and yardage basis. The yardage rate is determined by the number of head owned. Pound-Maker has a finance program in which either cattle or cattle and feed may by financed on approved credit. For more information on custom feeding or feeder finance, please contact the main office. 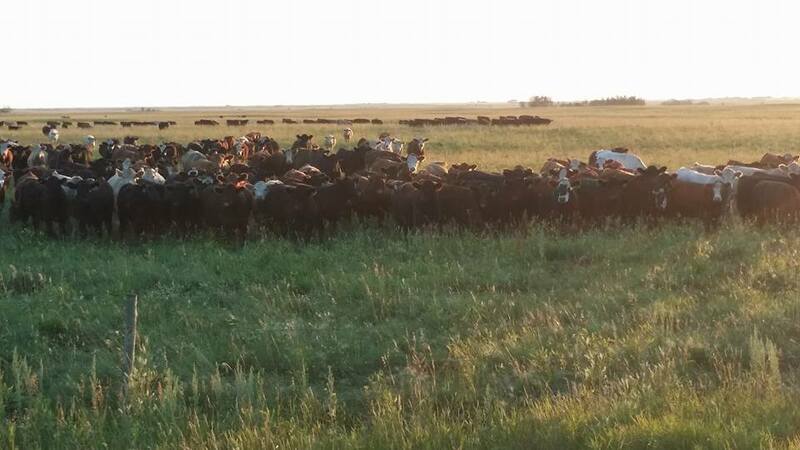 Pound-Maker operates a summer grazing program that has light weight steers purchased in late winter and fed in the Feedlot untl May when the cattle are put out to pasture. The cattle come back to the Feedlot in September or October to be finished.